You may be one of the lucky ones who has a child who sleeps (and we aren’t at all jealous) or you may be up half the night with your baby, either way, you don’t want to add nappy niggles to your night time stress. Most people use a different cloth nappy system for the night time than in the day and we have spoken to five experts to find their top tips on choosing the right reusable nappy for night time. Instagrammer Cecilia has used TotsBots on all four of her children and her youngest two are still in reusable nappies at night. She says . . .
“To me, sleep is a sacred territory when it comes to motherhood, every second your child sleeps counts and a leaking nappy waking your child up is not fun. Reliability therefore is my number one priority when choosing a night nappy, I find bamboo to be the best fabric for the job. Second fabric is comfort. Unlike day nappies which are changed more often, a night nappy must be comfortable for a prolonged time. Wraps or PUL outers must be flexible to mould around baby and let them move freely. I have mostly used hook and loop nappies overnight because we can tailor them to the child’s sleeping habits, for example tightening the waist for tummy sleepers”. Becky Blogs at The Mummy Adventure and has had two in nappies for most of the last 5 years. She says . . .
“It was a case of trial and error for us when finding the perfect night nappy and we now use two different systems. My one year old daughter is still feeding several times a night which means she is weeing very often too. The Bamboozle stretch and PeeNut wrap combination is pretty bombproof and we add in a booster from the EasyFit to make it even more absorbent. My two-year-old toddler sleeps through now and the bulk of a two parter isn’t necessary for him. We use the same PeeNut wraps but with two of the inserts for him. It fits neatly under his pyjamas and we have the option to add a third insert if he has drunk a lot near bedtime. 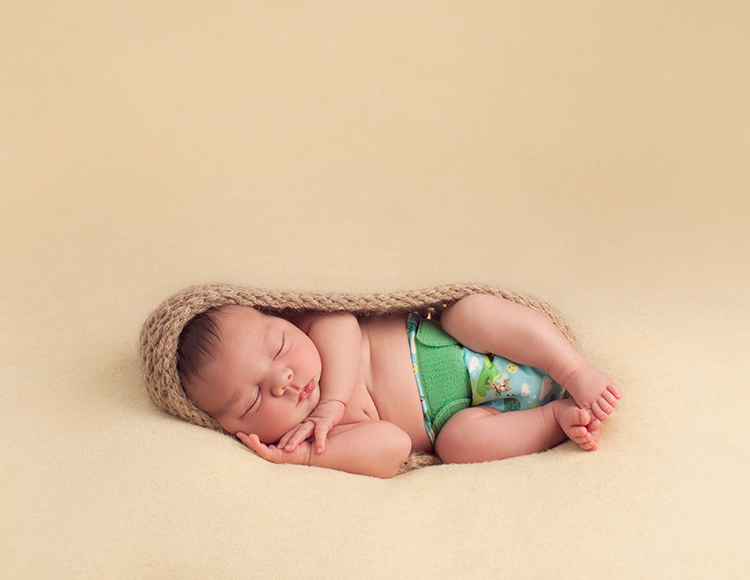 For both children, we always use fleece liners to help keep their little bottoms dry and comfortable all-night long”. Kate from Family Fever has four little ones and is a TotsBots Fluffragette. She says . . .
“Finding a night nappy was a little bit of trial and error. We used Tots Bots EasyFits during the day, but they sometimes weren’t enough for a full night. After some online research, we discovered that two part systems could be the answer. We went for the Tots Bots Bamboozle for a few reasons. We knew and trusted the brand and I knew that bamboo offered great absorbency - and they came in some great colours! Using the 2-part nappy and wrap system was much simpler than I thought - the nappy just went on as normal, with an outer wrap over the top. It makes your baby’s bum a little chunky, so you might need to size up in pyjamas! We have found a bamboo nappy works well for us and is generally absorbent enough, although we do add a charcoal booster during teething or periods of illness, just for extra protection. I love how Bamboozles are so adaptable and last for such a long time as well as being quick and easy to wash and dry”. Sarah in the office is a Mama to two and proud cloth nappy user. She says . . .
“Good night time nappies are so important, and I think this can be why it takes some people slightly longer to brave cloth at night. There is also the worry that having a wet nappy will wake baby, so this is why it is important to find the right combo for parents and Baby. I have sworn by Tots Bots Bamboozle and PeeNut wrap with both of mine. You want something comfortable, adaptable and breathable, and this can be quite tricky to find! What I love about the Bamboozle/PeeNut combo is how you can swap the pieces about depending how much absorption you need”. Heather from A Reusable Life is on a mission to use less single use and more eco-consciously and cloth nappies play a big part in this. She says . . . Check out our two part system with the bombproof bamboozle stretch and the waterproof wrap for the perfect night nappy solution.